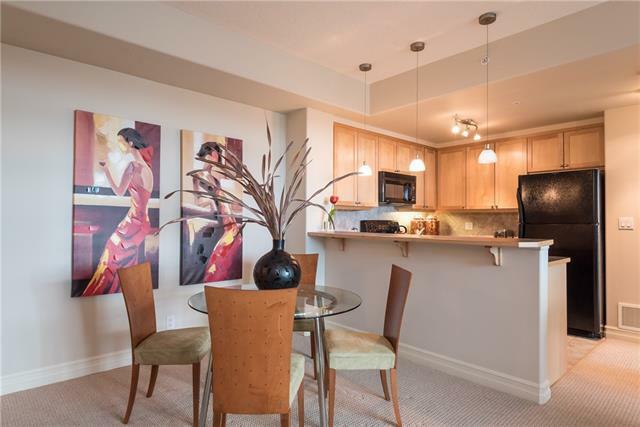 OPEN HOUSES MON - FRI 4-6pm! 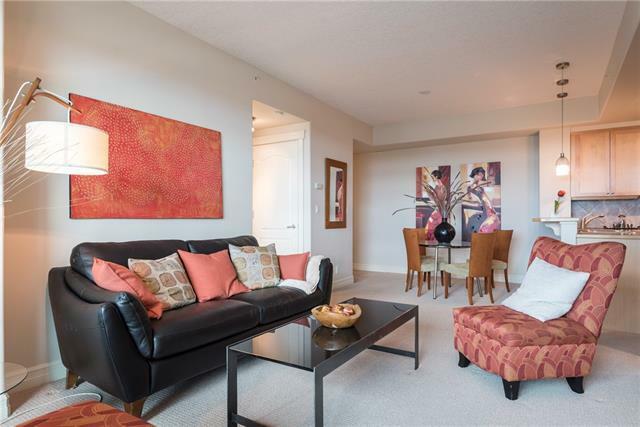 This beautiful south facing 2-bedroom condo is located in the heart of downtown, located on the 17th floor and is the perfect place to call home! 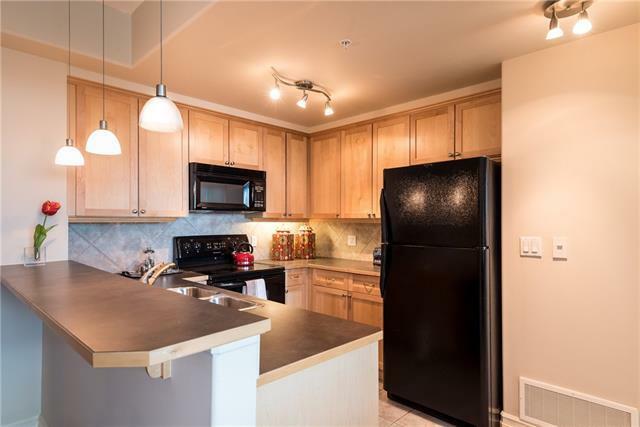 The unit has been well-maintained, has mountain views and is steps from 17th Avenue restaurant and shops. 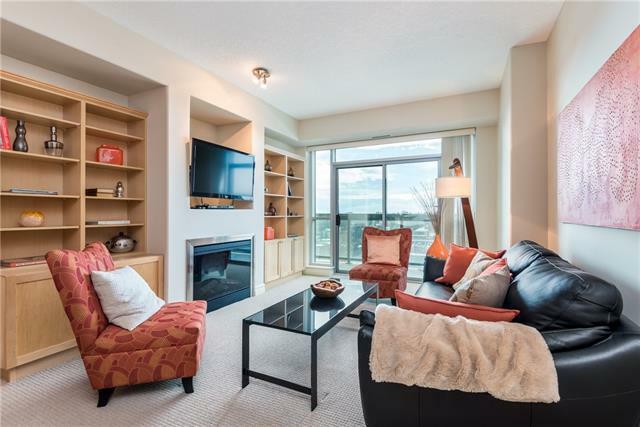 This unit has floor to ceiling windows with an abundance of natural light, a full kitchen, spacious living room with an electric fireplace, large balcony and the unit has in-suite laundry! The large master bedroom has a walk-in closet and 4pc bathroom and there is a second bedroom & 3pc bathroom. Emerald Stone offers a gym and recreation room with a pool table and golf simulator! There is a titled parking stall and storage locker. There is the option to purchase the furniture to save you the hassle! This property is move in ready!